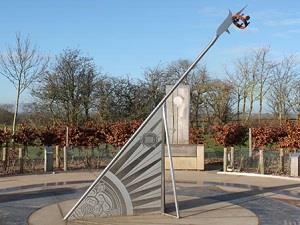 Bosworth Battlefield Heritage Centre01455 290429work MuseumBosworth Battlefield Heritage Centre tells the dramatic story of the Battle of Bosworth on Monday 22nd August 1485, which marked a major turning point in English history. Discover more about the Battle of 1485 where Richard III fought for his crown and lost his life, and Henry Tudor became King! With interactive, hands-on displays and a range of activities, including guided walks, you can find out about medieval warfare, how the battle unfolded and the impact of the new and powerful Tudor dynasty. Find out how archaeologists discovered the true location of the Battle and see some of the unique objects that were unearthed. # Tickets give FREE unlimited re-admission to the Exhibition for 12 months from day of purchase, but they are NOT VALID for the Bosworth Medieval Festival on the weekend of 18th & 19th August 2018.